Getting to host Anna and Bailey's perfect day was a dream for us! This couple radiated joy from the minute they walked in until the minute they walked out. One of our favorite things was the way that they incorporated so much of their personalities into their wedding day. Bailey is a Tennessee boy who loves running, and Anna never stops smiling or loving the people around her. Those things are so evident in their pictures, and we're excited to share them with you! Anna's bridesmaids wore beautiful blue heather dresses, and the guys' navy tuxedos complimented them perfectly. They had a gorgeous cake with hints of blush and greenery, and of course Bailey's groom's cake pointed to his love for running, biking, swimming--anything active! 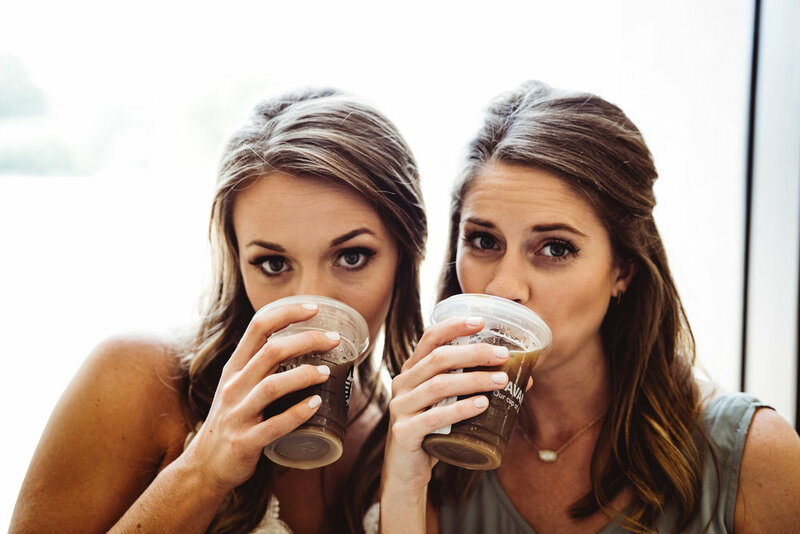 Amber Ridge Photography captured their day beautifully, and we know that you will love these pictures as much as we do!